6 types of wood. 20 different shades of leather. 52 different shades of fabric. The sweetest temptation since the invention of solid wood beds. The sophisticated interplay of different materials on the sides of the bed gives our mylon bed its lofty and tempting appearance. 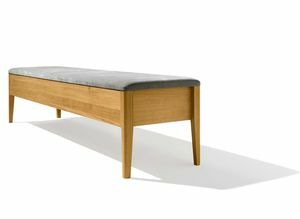 The version with the delicate upholstered headboard in fabric or leather moves the fine wood construction even more into the spotlight. 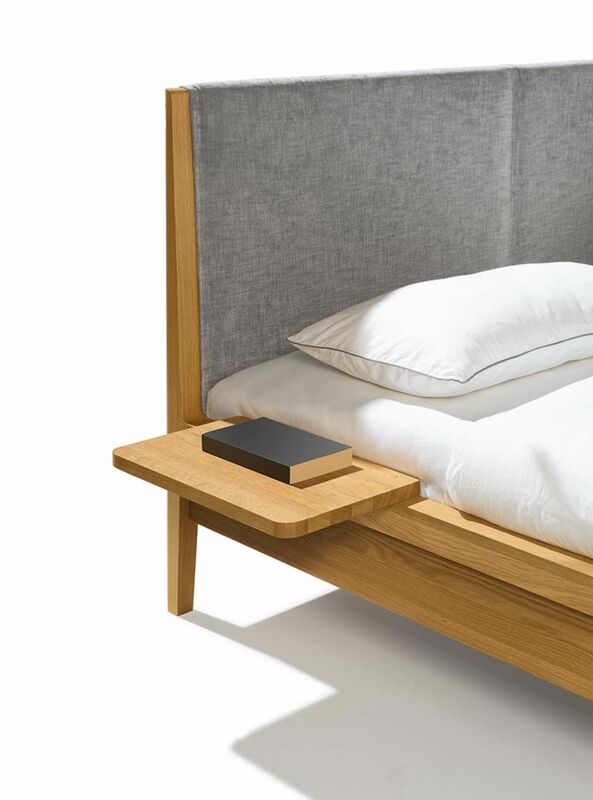 The cover of the upholstered headboard and the bed sides are removable – for easy cleaning as well as a change of material or colour. 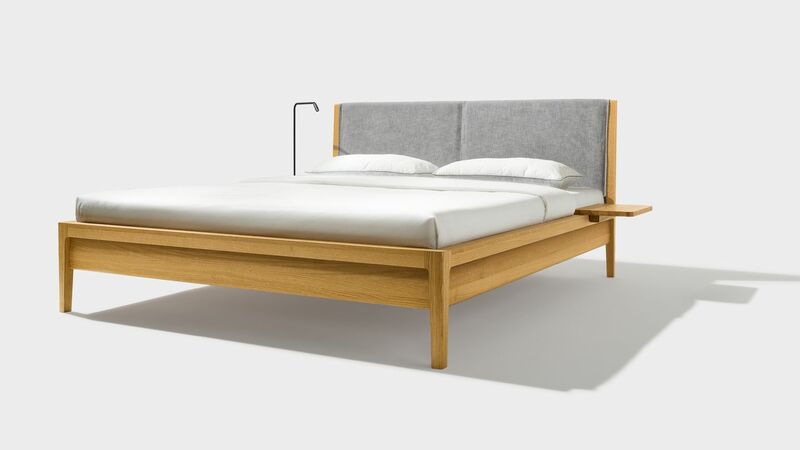 You can also design your mylon bed to have a headboard made of solid wood slats. 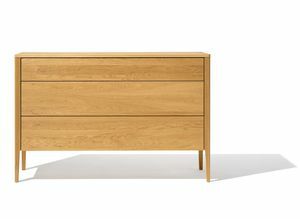 Its counterpart, the optional footboard, is just as beautiful. 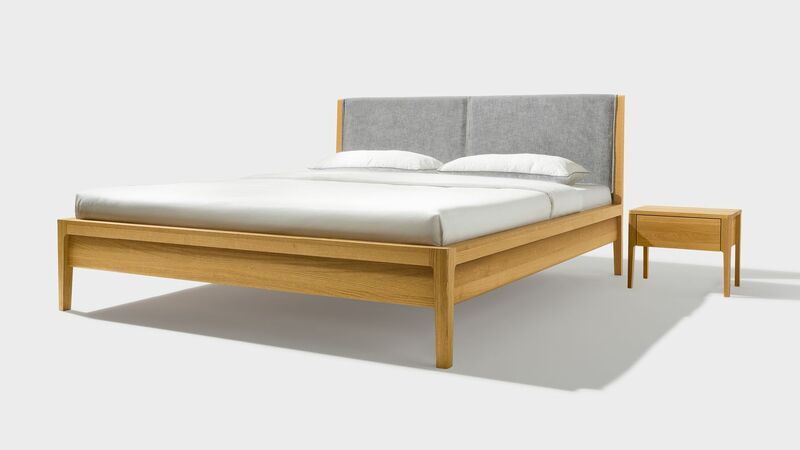 As an alternative to leather or fabric, you can also design your mylon bed with sides made of pure solid wood. The entire family together in one room – and the atmosphere is still good? Naturally, when it’s our mylon family! 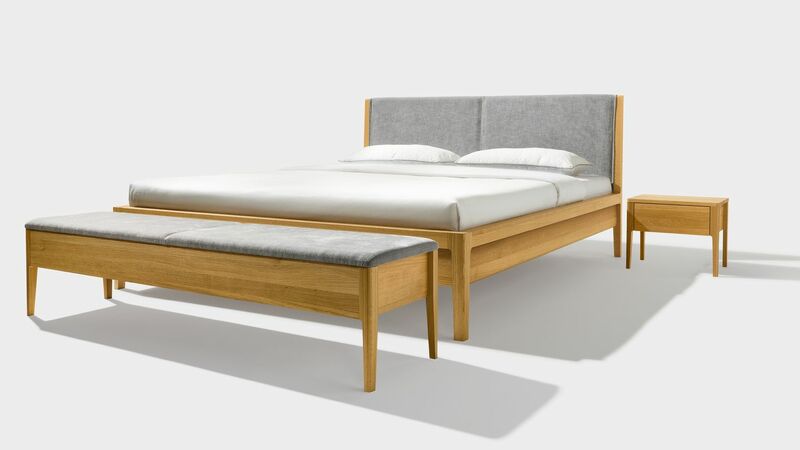 The mylon bed and occasional furniture are made of solid wood, to ensure the environment in your bedroom stays healthy. And they look great together, too. 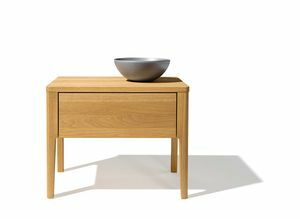 The mylon bedside cabinet, dresser and bench also have elegantly slender legs and neat curves, like the bed itself. You can see they’re all one family! 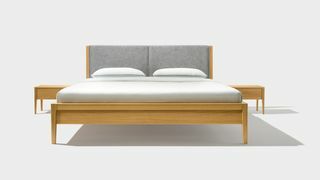 It’s the joints between the individual elements of the slatted headboard that, with their harmonious curves, create an exciting contrast to the overall linear design of the mylon bed. And the combinations of traditional craftsmanship techniques with the state-of-the-art technologies that enable the precision with which our cabinetmakers create these masterpieces.